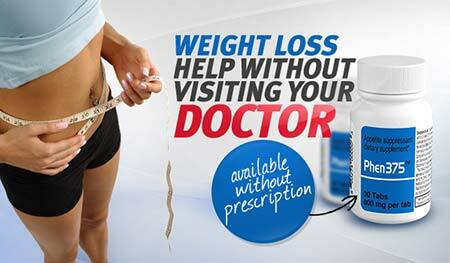 WonderSlim Lipotropic Blend is a weight loss supplement produced in capsule form by WonderSlim Supplements. It’s not the only diet pill they have to offer, but the majority of WonderSlim products are low-calorie food options and snacks. 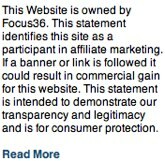 The company also markets meal replacement shakes. WonderSlim Lipotropic Blend is a diet pill that’s powered by a formulation of natural ingredients and compounds that have been chosen for their ability (alleged or proven) to suppress the appetite and/or boost the metabolism. It’s all about calorie control. How Can Lipotropic Blend Help Me To Lose Weight? If the product can do what it’s supposed to do, it will help you to avoid feelings of hunger and be successful in your attempt to eat less food. It will also accelerate your metabolism enough to cause you to burn calories faster than normal. The resulting combination of less calories going into the body and more being used should cause a shortage that will force your body to begin burning its stores of fat. How Many Diet Pills Do I Need to Take Per Day? Three capsules are needed per day. Two before breakfast and one before the evening meal. The capsules have to be taken with at least 8oz of water and it’s best to swallow them before eating. What Are the Ingredients in Lipotropic Blend? 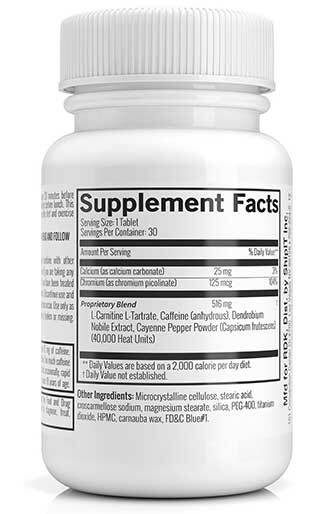 The rest of the ingredients are housed in a proprietary blend that accounts for 751.5mg of the pill content. Although it’s unlikely to offer you a great deal of support in your attempts to lose weight, it may offer limited value and the fruit extract used in the proprietary blend should provide your body with antioxidants that could improve your overall health. Chromium is good for lessening the desire for sweet food, but the level of appetite suppression provided is likely to be quite low. 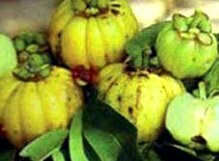 Garcinia cambogia has an excellent reputation for killing hunger, but this comes courtesy of a chemical called hydroxycitric acid (HCA) and experts state garcinia cambogia has to provide at least 60% HCA. If it does not it’s unlikely to work. The extract used in this formulation is only 50% HCA. Vitamin B6 is an appropriate inclusion because it’s necessary for a healthy metabolism. Bladderwrack and kelp are also good because they contain iodine and the thyroid gland requires an adequate amount of iodine to help it manufacture the “T” hormones that are necessary for a fast metabolism. Conjugated Linoleic Acid may have the ability to boost the metabolism and encourage fat burning. 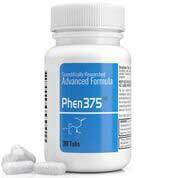 It is also alleged to be capable of improving muscle mass. There are many studies that support both these claims. However, bearing in mind the relatively high number of ingredients involved, and the fact that the use of a proprietary blend has given WonderSlim an excuse not to provide inclusion rates, it’s hard to predict what this product will do. There are no powerful fat burners included though. Some green tea or a little capsicum would have boosted its value considerably. Are There Any Customer Reviews? There are no customer reviews on the manufacturer’s website and we were unable to find any published elsewhere online. Have Side Effects Been Reported? 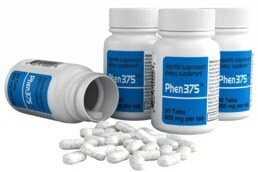 If WonderSlim are aware of any side effects they fail to say so, but the formulation contains buchu leaves and this ingredient may upset the stomach, and/or irritate the kidneys, so it’s a good idea to get a doctor’s opinion before using this product to lose weight. Where Do I Buy Lipotropic Blend and What Does It Cost? 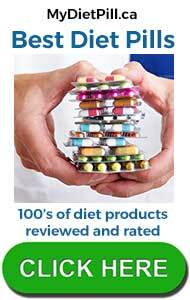 Although some WonderSlim products are available via Amazon, Lipotropic Blend is not. You can only obtain it from the manufacturer’s website and a 30-day supply of pills costs $26.99. If you are willing to make an ongoing commitment you can buy via auto-ship and get a 15% discount from the second delivery onwards. Lipotropic Blend has a 60-day guarantee, and customers are offered a 150% refund, but it only applies to “partially used” bottles. How Does Lipotropic Blend Compare With Other Options? The best thing about Lipotropic Blend is the price. It doesn’t cost much at all but, as is often the case, you get what you pay for. The appetite suppressing ability of the product is questionable, but it may help boost your metabolism sufficiently to burn a few extra calories per day and increase your fat loss if you are already losing weight through a combination of diet and exercise. As far as product potency goes, Lipotropic Blend does not compare well with the top-rated diet pills available to buy online. All of them contain superior formulations, have plenty of good customer feedback, and have guarantees that allow customers to use a full bottle of pills and still get a refund if they are not happy. If you are looking for a bargain basement diet pill give this one a go. 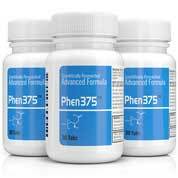 If you are serious about losing weight quickly and safely, try a better product instead. 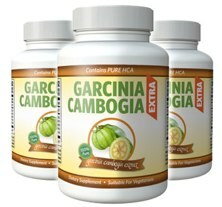 If you are intent on buying a diet product that utilises the power of CLA then Garcinia Cambogia is the default choice.